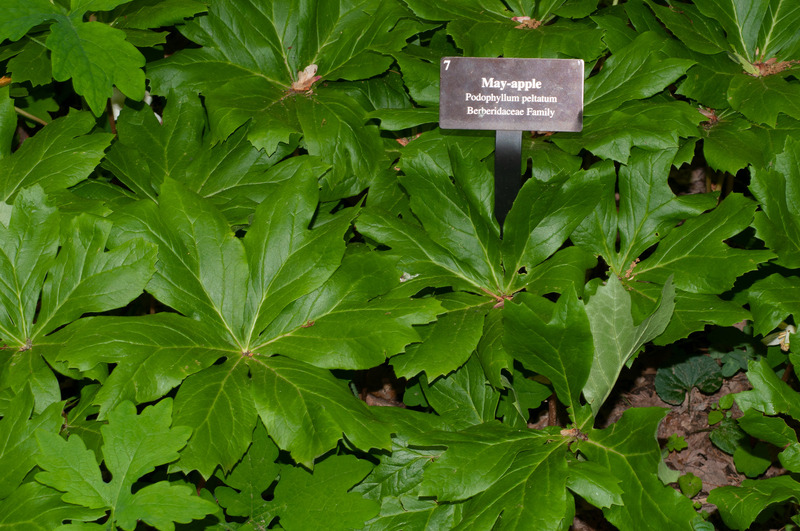 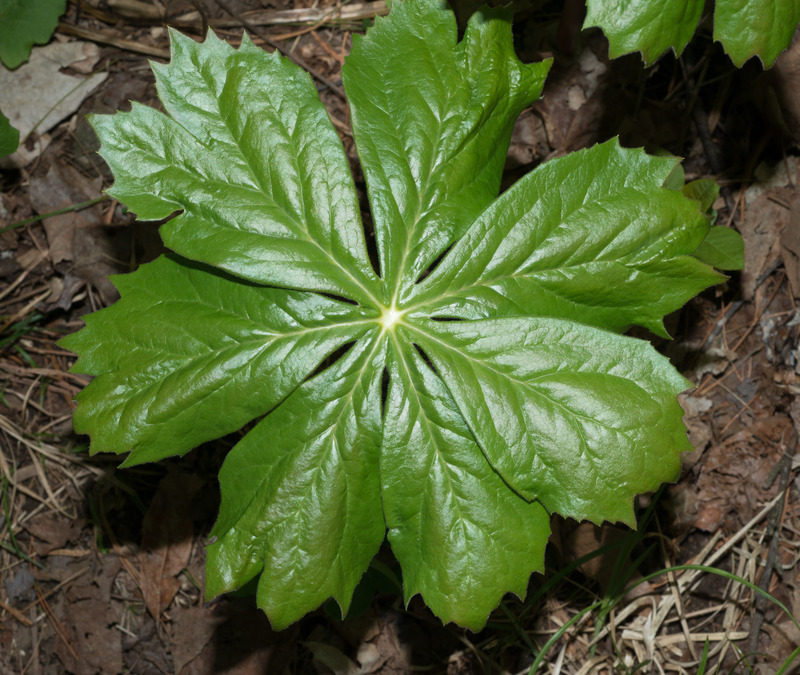 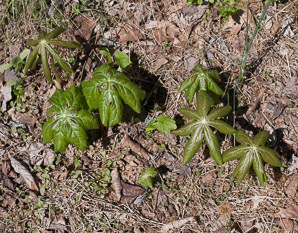 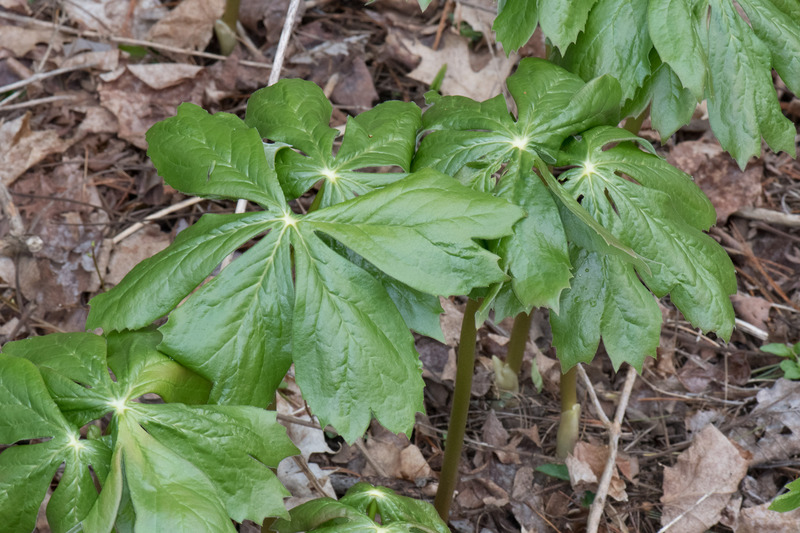 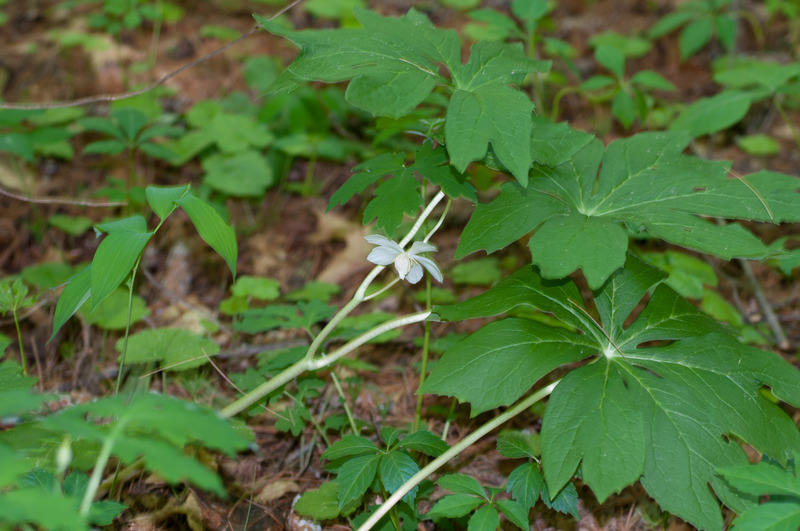 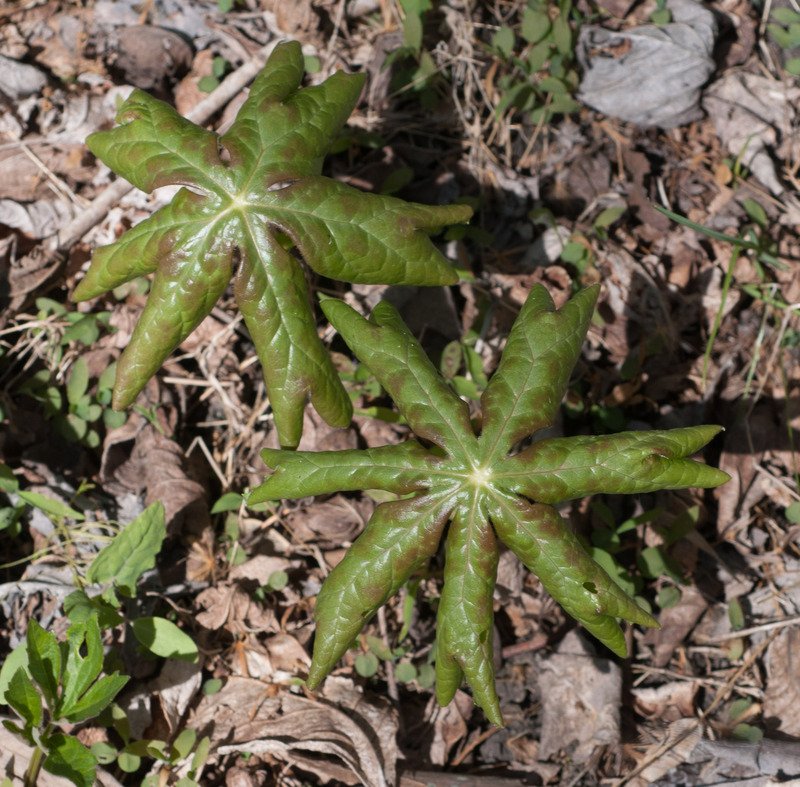 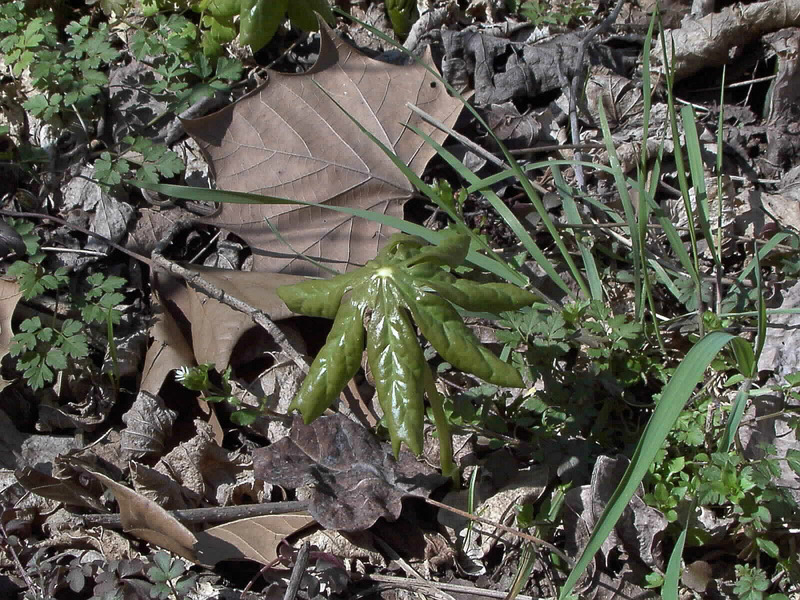 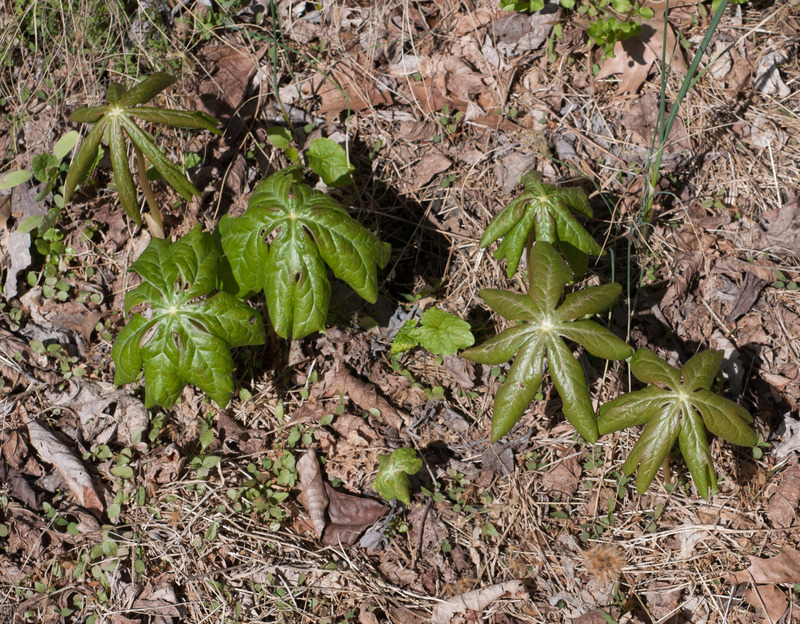 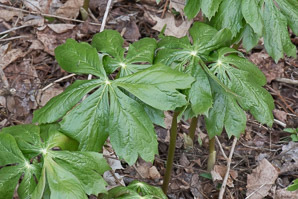 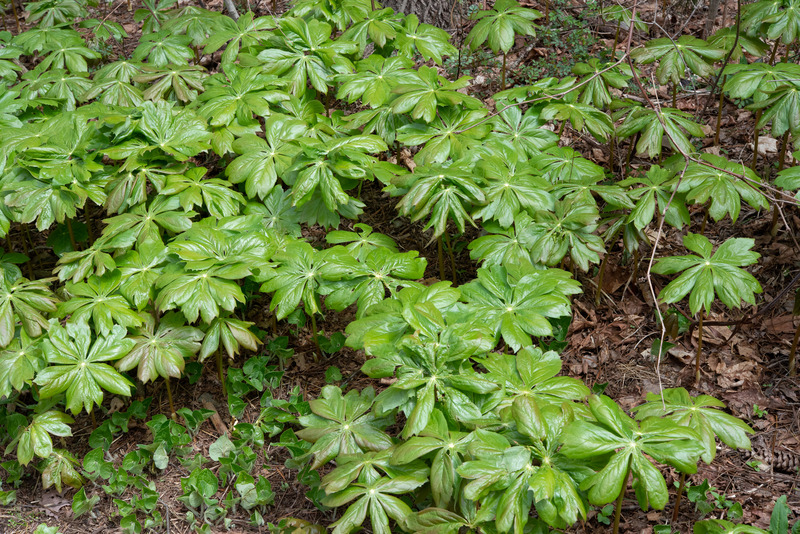 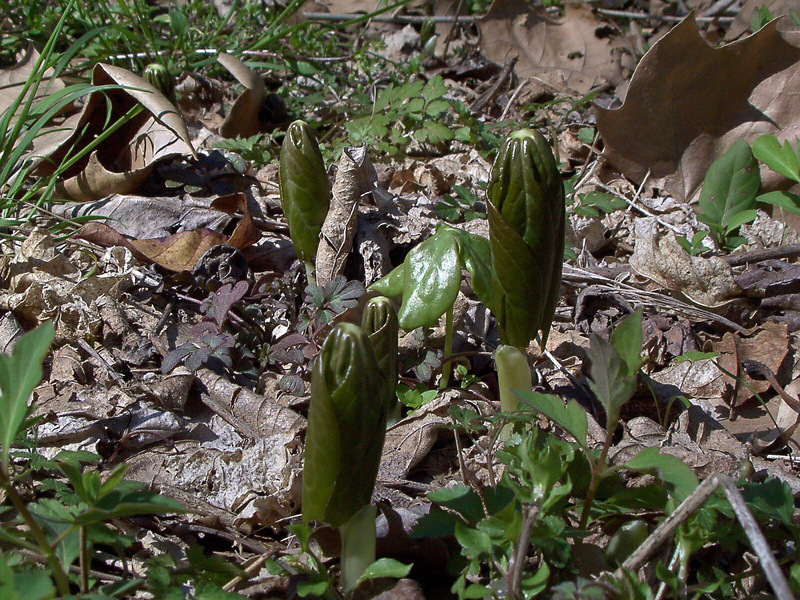 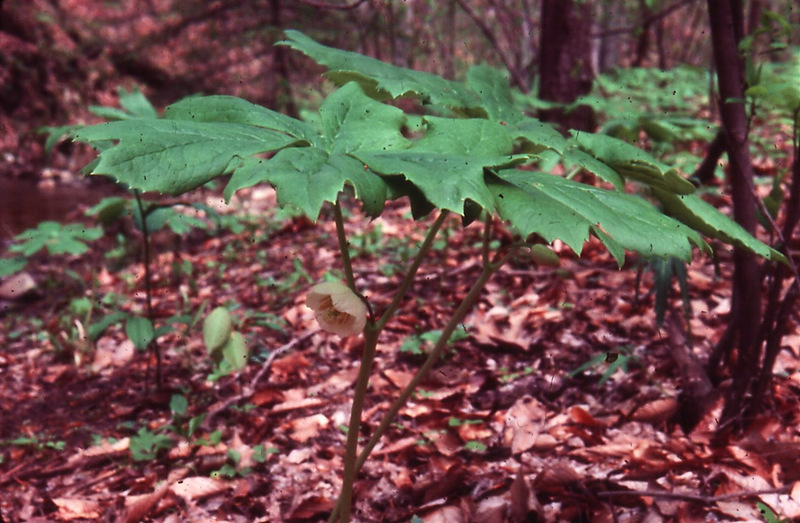 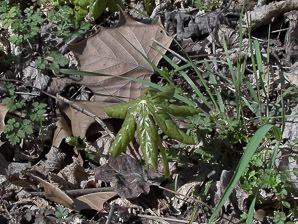 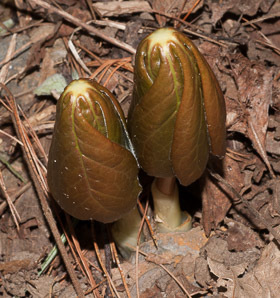 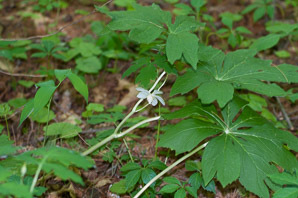 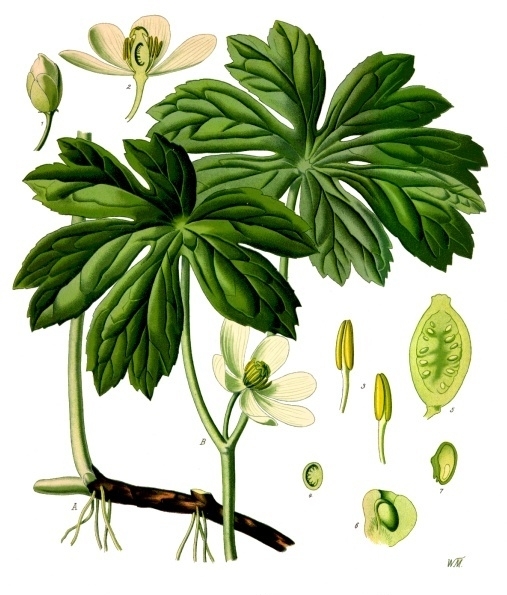 Mayapple is a native of North America. 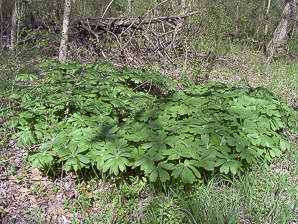 The common name “umbrella plant” refers to the appearance of the young plants, which look like shiny, tightly furled umbrellas. Identification: Plants are 12-16" (30-40 cm) high, sometimes growing in dense clonal colonies. Fertile plants are topped by 2-3 leaves 8-12" (20-30 cm) in diameter. Each leaf has 5-9 deeply cut lobes. 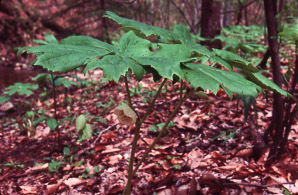 Sterile plants are topped by a single, umbrella-like leaf. 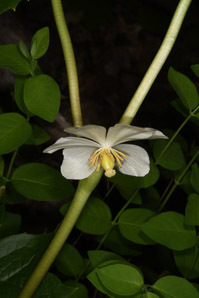 The fertile plant has a single white to pinkish flower, growing from the point where the two leaf stems intersect, 1-1¾" (3-5 cm) in diameter, with 6 petals, sometimes up to 9. 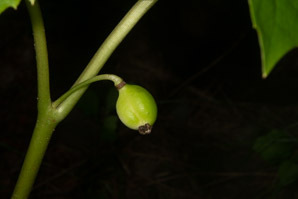 The fruit resembles an apple, and is 1¼-2" (3.2-5 cm) around. 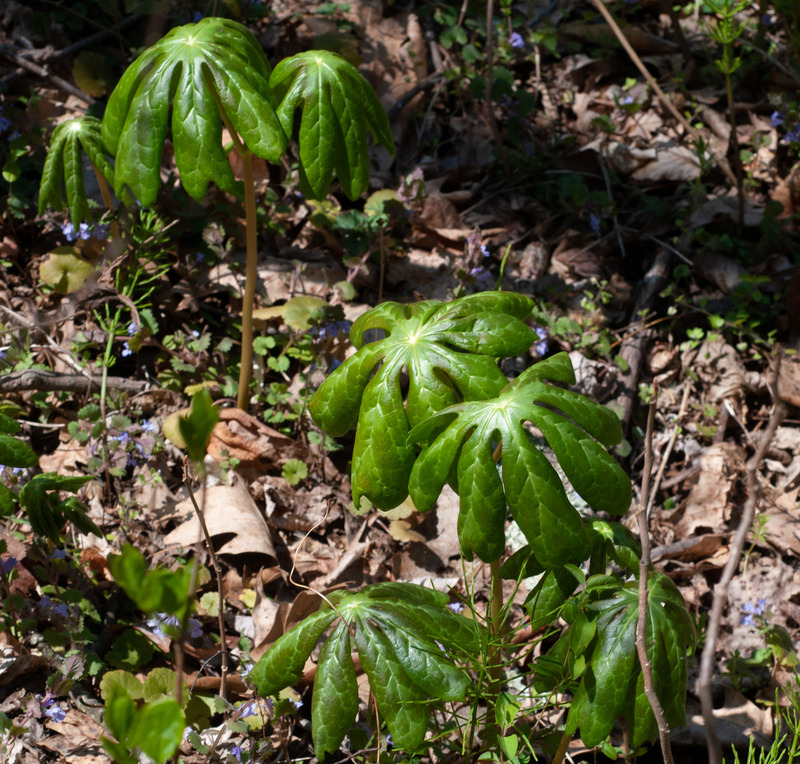 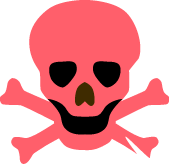 Edibility: Poisonous Leaves, stems and roots are poisonous. 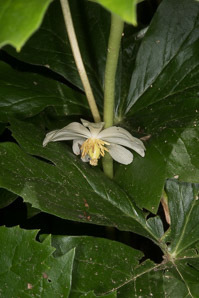 The yellow, soft, ripe fruits are edible if they have not been treated with pesticides. 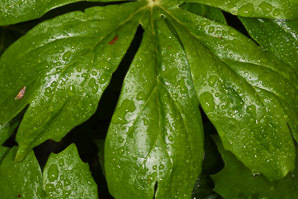 Washed with warm water, the lemon-like fruit can be made into jam or jelly. 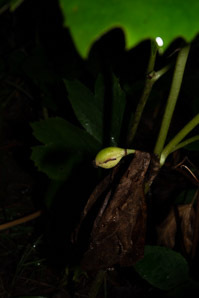 Ripe fruits are also edible raw, but they aren’t very tasty that way (“insipid,” according to one source), and can cause discomfort if they are not fully ripe. 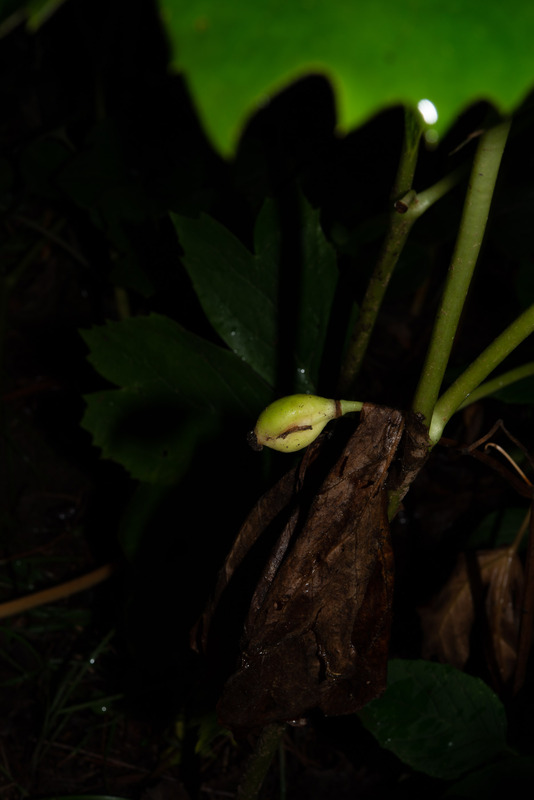 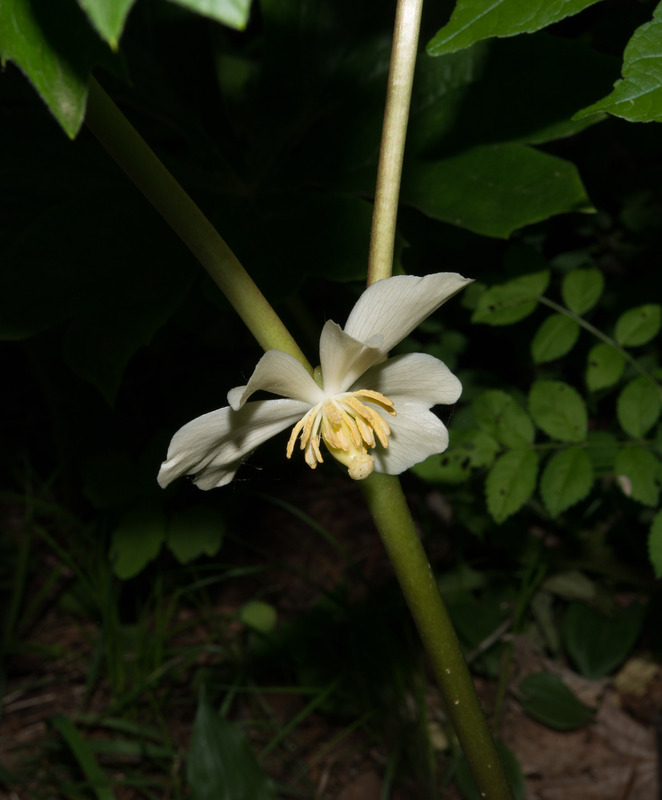 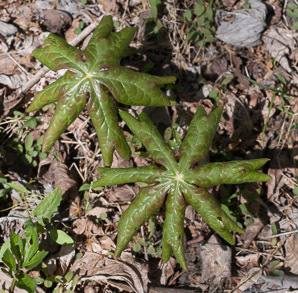 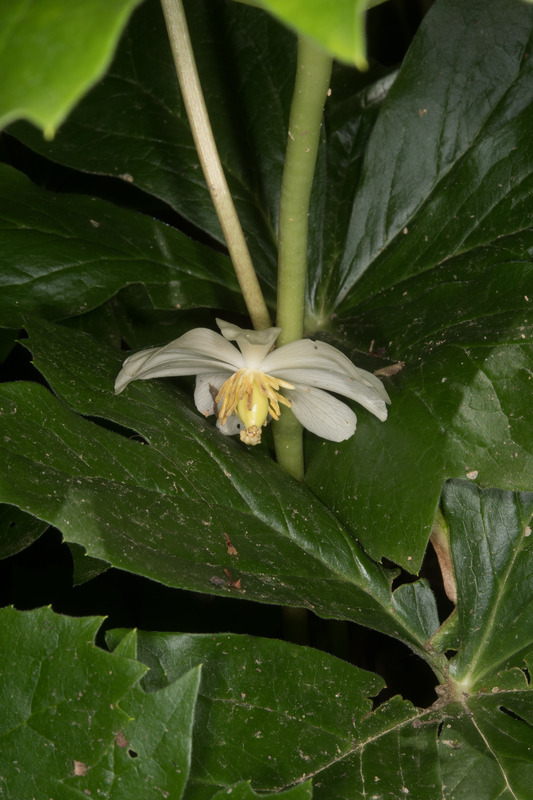 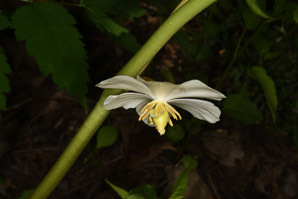 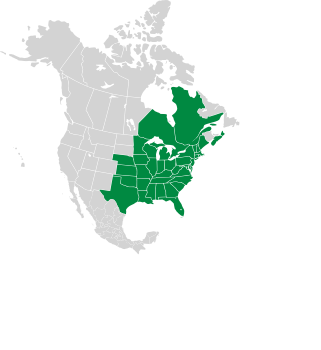 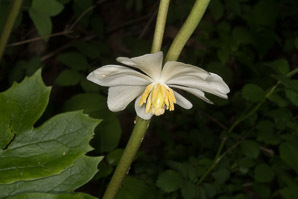 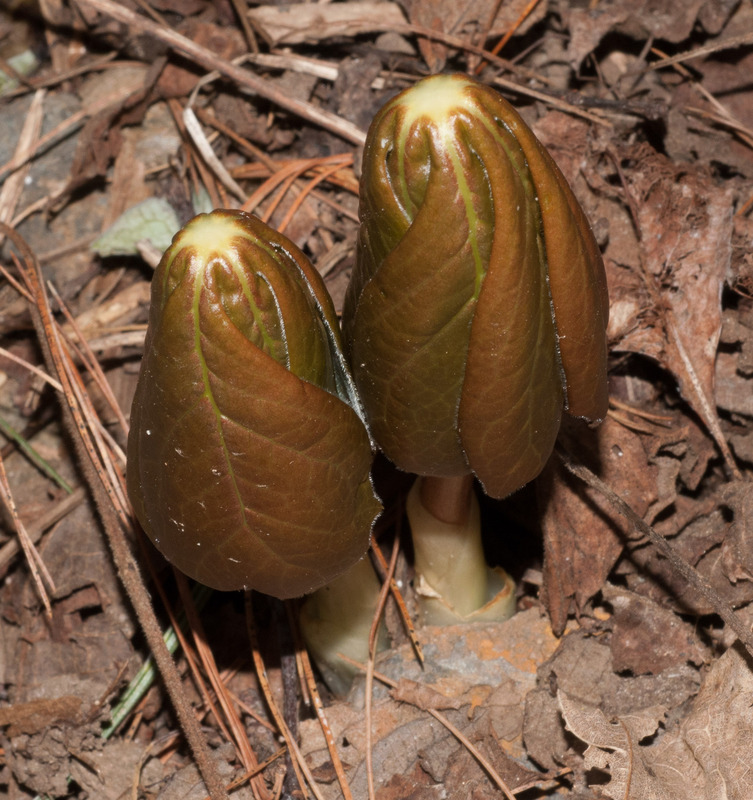 Podophyllum peltatum description by Thomas H. Kent, last updated 2 Jan 2019.